In the Massachusetts Institute of Technology’s Chemistry of Sports course, they “… will be focusing on three sports, swimming, cycling and running. There will be two components to the seminar, a classroom and a laboratory. The classroom component will introduce the students to the chemistry of their own biological system. Since we are looking at swimming, running and cycling as our sample sports, we will apply the classroom knowledge to complete a triathlon. All materials are in PDF format and it’s worth a read if you’re interested, like I am, in the science behind your training. Click here for the MIT course. What do you in the couple of weeks before a race? Taper? Test out nutritional intake and timing? If this is your first race, your mind is likely racing, pardon the pun. If not your first race, your over your first time jitters and just want to have a better race, faster time, or move up in distance. - Choose the best equipment for your goals, terrain, and budget. - Create your own triathlon program for various distances and events. 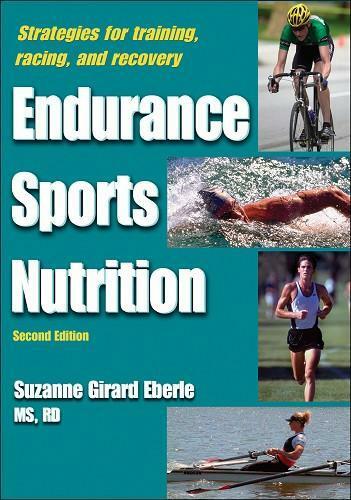 - Know how, when, and what to eat and drink when training or competing. - Prevent overtraining and recover from common injuries. - Swim and navigate in open water. - Smoothly and quickly transition from one leg of the race to the next. - Taper your training for peak performance on race day. “First things first: Congratulate yourself. You are a few weeks away from what might be one of the most rewarding efforts you’ll make in your life. You’ve made it this far, and you’re still standing (hopefully). Training for a triathlon, even for a sprint distance, is no small task. It takes commitment, self-discipline, and an unfaltering capacity for bearing with aches and pains. You’ve made it through the scorching hot and humid summer runs when garden sprinklers were few and far between. You’ve weathered the chilly spring mornings on your bike, when you wished your helmet had a heater. You’ve tolerated inconsiderate toddlers invading your lap swimming lane. You’ve come a long way and are probably in better shape than 99 percent of the population. Take pride in your accomplishment. You’re ready to complete your first triathlon, up the distance, or go for a personal best. Whatever your goal, congratulate yourself on just getting to where you are now. But don’t pat yourself on the back for too long. You’ve still got a few weeks to go. Even if your training hasn’t been perfect or you’ve overtrained a little, the next few weeks are the critical zone, a period where it’s essential that you pay attention to some vital details. Running takes the greatest toll on your body, so make sure you give yourself plenty of time to recover before your race. You should do your last long run, but not your longest, approximately 14 days before the race. Run a distance roughly equivalent to half of your longest previous run. Some triathletes run their longest run on this day, but elite runners have ideal muscle composition for running (predominantly slow-twitch fibers) that allow for quick recovery. The majority of triathletes require more time, so your longest run should be three to four weeks before race day. Believe it or not, if you’ve trained as hard as you think you have, your body has to recover from the cumulative distance you’ve put on your feet, legs, and arms. Although you might feel just fine, there are likely microscopic tears in your muscle tissue, tears that need a few weeks of easy training and a few rest days to completely heal. If you have any doubts about the value of tapering and are itching to just ditch this part of your training plan, consider a little scientific evidence. A study at Malaspina College in British Columbia and the University of Alberta shows how necessary tapering is to triathletes. In the study, 25 athletes trained for an hour five days a week for six weeks at a high-intensity level of 75 to 85 percent (Mora 1993). After six weeks, seven athletes tapered for three days, cutting down on volume (not intensity), and a second group tapered for six days. A third group tapered by doing no exercise at all for four full days, and an unfortunate bunch in the fourth group exercised at the same intensity and volume until test day (equivalent to race day). The results showed a 12 percent increase of the lactate threshold level in both the three-day and six-day taper groups. (For the purposes of this study, the lactate threshold is a measure of how long the athletes could maintain a certain exercise intensity before too much lactic acid, a waste byproduct of exercise, builds in the blood.) The no-exercise group made no improvement, and the train-to-death group decreased their lactate threshold level. Glycogen levels were also measured. (Remember, your glycogen storage is like a fuel tank; the more glycogen you have, the longer you can go.) Glycogen storage levels soared by 25 percent with the six-day program. The three-day and the no-exercise groups showed an increase of 12 percent. Once again, the train-to-death group smelled of overtraining: Their glycogen levels dropped 12 percent. 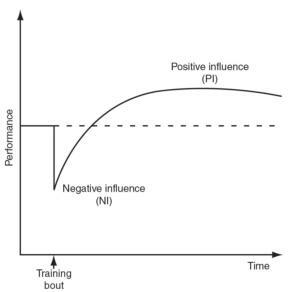 Neary emphasizes that tapering is subject to a host of variables specific to the individual and the training event. For example, a half-Ironman distance race requires longer, slower training than used in the study, and older athletes tend to require longer recovery times. Thus triathletes training for longer distances might do better with more tapering; older triathletes might also need more tapering. The point is to stick to the tapering suggestions and sample tapering charts presented in chapter 7. Don’t let the excitement of the pending drama or your impatience ruin your chances of having a great race. * Are you staying away from high-fat foods like cheese, whole milk, and butter? Make an effort to fine-tune your diet. If you haven’t been a good boy or girl, make a commitment to get your nutritional act together in the coming critical weeks. You’ve come too far to let diet stop you from being your very best. The key word here is fine-tune. Don’t make any last-minute drastic diet changes that will be hard on your body. * If you have a deficiency of protein in your diet, integrate some legumes, egg whites, and low-fat dairy products into your diet. * Are you keeping well hydrated? Make sure you drink 6 to 10 eight-ounce (240 mL) glasses of water a day. You’ve come far in your physical training, but have you trained your mind with positive thoughts and visualization of the finish line? If not, devote some time to this important, but often overlooked, detail. Begin to set aside 15 to 30 minutes every day in a quiet place where you won’t be interrupted. Close your eyes and relax. Take deep, slow breaths, inhaling through your mouth and exhaling through your nose. Visualize every phase of the race, from starting line to the glorious finish. See yourself relaxed and confident on the day of the race. You’re calm and cool within the hustle and bustle of the crowd. See as much detail as possible, and feel an eager anticipation to meet the challenge that awaits you. If you’re not used to meditating, visualizing might seem difficult at first. Persist, as you’ve done with your physical training. The weeks before a race are a good time to experiment with your ideal prerace meal. Try eating a high-carbohydrate snack, such as a bagel and banana, 60 to 90 minutes before a moderate to long workout to ensure you don’t experience nausea. Another good prerace meal is an energy bar containing about 40 to 50 grams of carbohydrate with 8 ounces of water 60 to 90 minutes before the race. If you do experience nausea, your stomach might be sensitive. Try something else, or try timing your prerace meal so that you eat it as long as two hours before you start exercising. Now is a good time to practice your swim-to-bike transition, known as T1 in tri-speak, and your bike-to-run transition, known as, you guessed it, T2. Practice your T1 transitions on a beach. Set up a mock transition area at an open-water swim site and have somebody watch your stuff while you swim. Lay everything you’re going to need on a towel, just like you will do at the race transition area (I’ll give you a checklist later in this chapter). Don’t make this a long workout. Swim a short distance, practice getting out of your wetsuit (if you’ll be wearing one), change into your bike gear, and go for a short ride. Practice your T2 transition on another day. Again, set up a mock transition area, but this time you can set it up on your doorstep. Go for a short bike ride, and then change into your running gear and go for a short run. Although you should have already done some brick workouts, these practices should help you make smooth transitions and get used to the gear and clothing (if any) changes. You should also decide how you want to approach the transitions. Essentially, there are two ways of transitioning: the fast way and the comfortable way. The fast way means racing in your swimsuit. The benefit is obvious: a quick transition. The drawbacks are also obvious: saddle soreness and, if it’s a cool day, goose bumps. As I’ve mentioned before, most competitive triathletes competing in sprint- or Olympic-distance triathlons choose to go this route. Riding in a swimsuit is tolerable for most people for these relatively short distances, and if you’ve wisely purchased a triathlon swimsuit with some padding, that will help as well. If you have personal reasons for not riding and running in your swimsuit or feel that bike shorts will make a big difference in terms of comfort, then by all means, take your time and slip them on over your swimsuit. (Most triathlons of shorter distances don’t have changing areas, and being naked in the transition area is cause for disqualification and possible arrest!) Feel free to stop and don cycling shorts, cycling jersey, and any other clothing that you feel will help you maintain comfort. Of course, all that extra dressing will add to your transition time. But if you’re just doing the triathlon to finish, who cares? Whether you run with or without socks depends on how sensitive your feet are. Again, most triathletes forgo this for shorter distances, but that doesn’t mean you have to. An inexpensive and helpful item to make your running shoe transition quick are lace locks or similar quick-locking laces devices. These attach to your shoelaces and make tying your shoes as simple as tightening the laces and pulling down. They are surprisingly solid and dependable, tightening your laces as well as a double knot. Some specialty triathlon running shoes come with something like this built in, but if yours do not, consider it a low-cost, time-saving investment. 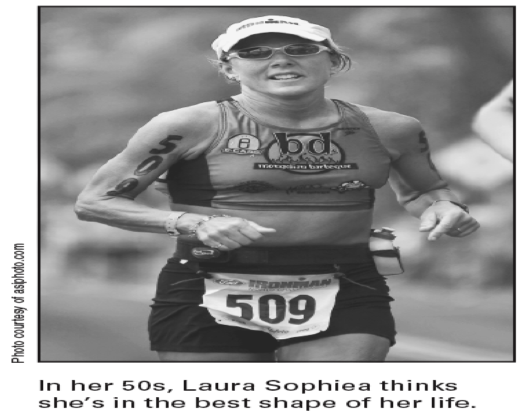 In this terrific excerpt reprinted with permission from Human Kinetics, Championship Triathlon Training, you’ll learn a few techniques to keeping your mind sharp and on task, a DEFINITE skill used by top athletes. the intent of lowering your stress level, using your heart rate as the measure. outcome but also immediately sets out to determine what factors he or she can control to get that outcome to occur. (Note that realism is essential to this total approach to training and racing. Thus, it is referred to repeatedly in this book.) This mind-set allows you to constructively respond to even very difficult situations. It also helps in determining the specific nature of goals you might set for training and competition. The mind-set can be created by planning for the accomplishment of challenging tasks associated with triathlon. Examples might include the completion of specific training efforts or challenging races. Developing a task orientation to success, in which you focus on the factors you can control, will help you meet your goal – whether it’s simply to finish a race or to beat your personal best time. duplication of the task. You end up failing on one or more levels again. or recent accomplishments in training rather than on the expectations of others. expectations. In this scenario it is also better to be conservative initially. I can set a lower time goal for the upcoming race than I did a month ago”). and might have very negative long-term effects. this kind of work without creating unacceptable pain, injury, or fatigue. you give up on the new behavior. a more successful use of your efforts in the long run. There’s a good post over on completerunning.com called Know Thyself. It says that it all starts with motivation, but how do you get the motivation? The blog answers it more from a standpoint of what’s standing in the way of your motivation. Knowing why you do things can help you understand the process. Enjoy! Race season is starting, you’re getting “geared” up, maybe a little anxious or nervous, maybe a little excited. Perhaps you are WAY nervous and excited, especially if this is your first race, not knowing what to expect. Before I go on let me tell you to expect to have fun. This an appropriate excerpt for this time of year as your body has adapted to training and your mind wonders about the race. It’s an excerpt from Timothy Noakes’, The Lore Of Running.” If you’ve ever read or browsed the book you know it is a THOROUGH book on everything running. It is well documented in psychology texts that there are seven basic emotions: joy, sadness, anger, love, fear, shame, and surprise. Other emotions are regarded as combinations of these basic seven. The emotions you feel in any situation and how you respond to them will depend on four factors: your basic personality, how much control you have over your emotions, your emotional reactivity, and your flexibility. Control of these emotions is achieved by controlling the thoughts that cause them. Renowned sport psychologist Thomas Tutko, formerly a professor of psychology at San Jose State University, has developed a technique to identify a person’s emotional profile and to indicate how that person will react according to seven separate psychological traits—desire, assertiveness, sensitivity, tension control, confidence, personal accountability, and self-discipline (Tutko and Tosi 1976). 1. Desire is the measure of your intent to be the best or to do your best. Those with low desire express an “I don’t care” attitude; those with high levels of desire are perfectionists. Both extremes are problematic, but it is the perfectionist who is more likely to persist in sport. Because perfectionists set goals that are unattainable, they live with a constant anxiety. Since they never achieve their goals, they are never content with their performances. To overcome this, perfectionists need to reassess their (unrealistic) goals and to realize that they are the cause of their anxiety. In turn, they need to focus on short-term goals, not the final results. 2. Assertiveness is the measure of the extent to which you believe you can influence the outcome of what you do. Those with low assertiveness are easily intimidated. They feel inadequate when someone else succeeds at their expense and they tend to support underdogs. Those with high assertiveness are known as killers. They frequently see sport participation as a “savage battle rather than an enjoyable challenge” (Tutko and Tosi 1976, page 68). Such activity is usually defensive since it is a front to protect a low self-esteem and the fear of being threatened or humiliated. 3. Sensitivity is the ability to enjoy sport without becoming overly disturbed at the outcome. Those with low sensitivity are known as stonewallers. Nothing can influence how they respond to any situation. In contrast, the supersensitive respond inappropriately and consider each failure, however slight, as a personal affront. The supersensitive must learn to separate the event from the emotional response that each evokes. Consequently, they are the most in need of training in emotional control. 4. Tension control is the measure of your ability to remain calm and focused under stress. Those with poor tension control are the nervous wrecks. They are unable to control their physical responses to stress. Because their motor function is impaired, they become relatively ineffective in sports that require high degrees of motor coordination. Those with excellent control are known as icebergs. Excessive tension control is detrimental if it prevents athletes from taking risks, from enjoying their participation, or from undertaking efforts to improve. 5. Confidence is the measure of your belief in your ability. Those with little confidence are insecure. Those with too much confidence are cocky. People are cocky either because they use bravado to cover an inner lack of confidence or because they truly believe that they are so talented that they need not work to achieve success. 6. Personal accountability is the measure of the extent to which you accept personal responsibility for your actions. Those with low personal accountability tend to hide behind alibis. Those with high personal accountability act as if “sports means always having to say I am sorry” (Tutko and Tosi 1976, page 84). Like the perfectionists, they feel guilty for everything except a perfect result. 7. Self-discipline is the measure of your willingness to develop and to persist with a personal game plan. Those with low self-discipline are known as the chaotics since they are unable to stick with any plan. Those with high self-discipline are known as the lemmings since their mental rigidity prevents them from changing their plans. By grasping the extent to which each of us expresses these different traits, we gain a better understanding of our personal foibles and, in turn, learn how best to control our specific personalities in the heat of competition. The difference between a strong or weak belief system is determined by your self-concept (what you believe about yourself), which is, in turn, established by your record of past performances, your body image (what you honestly believe you can achieve in sport), and the attitude that the significant people in your life (such as your parents, partner, friends, and coaches) have toward you and your participation in sport. The self-concept can be further divided into what you really think about yourself (your real self) and what you would like to be (your ideal self).